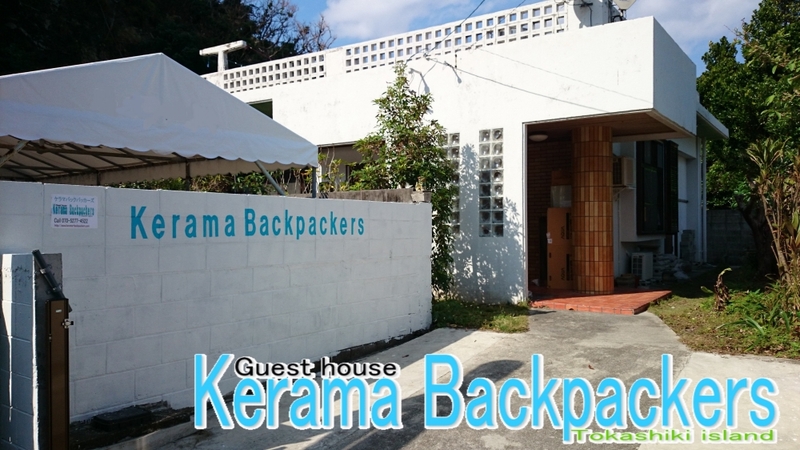 kerama Backpackers provide accommodation only (without meals). Japanese style Mixed dorm is ￥2300/night and dorm of bunk bed is ￥2700/night. Japanese private room is ￥6000 for 1 people and ￥7500 for 2 people, ￥8000 for 3 people and ￥9000 for 4 people (Except in GW and July, August and September). Please feel free to use our kitchen, which is equipped with a gas cooker, microwave ovens, refrigerators, and other kitchen tools. Please feel free to ask our staff about and nearby stores and restaurants. There is a my marine shop near Aharen beach. The name of marine shop is "Islands Trip"
No fee will cherged, if you cancelled or modified up to 2 days before date of arrival or when the ship is canceled in bad weather. 50% of frist night will be charged, if you cancelled or modified up to 1 day before date of arrival. 100% of all nights will be charged, if you cancelled or in case of no-show. However,in case of booking for private room,you have to pay 50% cancellation fee from a week ago to the day before.